Prahran all-rounder Stephen Seymour achieved 2 milestones last weekend, notching up his 4,000th Premier 1st XI run and took his 250th Premier 1st XI wicket in the match against Melbourne University. Round 11 of the Men’s Premier 1sts saw a ‘changing of the guard’ on the top of the ladder with Carlton winning a tight match against previous ladder leader Fitzroy Doncaster that became ‘heated’ in the dying overs. Other positions chopped and changed on the ladder, while some clubs looked to solidify their standings inside the Top 8. Round 12 sees a return to the red ball and two-day matches. With just four rounds to go, things are heating up for those fighting for a Finals position. Ringwood (14th) host St Kilda (6th) at Russell Lucas Oval. The Rams felt the pain of losing skipper Ian Holland prior to last round with their batting collapse against Melbourne and will need to bounce back hard against the Saints. The visitors are looking to make it two wins on the trot and will be keen to keep their chance of a Top 4 finish alive. With their top order all getting runs, it will be hard for the Rams to keep the Saints to a manageable score. Saints to start favourites. Melbourne University (4th) host Casey-South Melbourne (7th) at the University Main Oval. This will be one of the games of the round with both sides playing some quality cricket. I expect the battle will be decided in the Swans batting against the Uni bowling as Swans Captain/Coach Luke Wells will be the key wicket all the Uni bowlers will be wanting to hang on their belts. Gut feel says Uni at home if Steven Reid and Alex Gregory can both fire but I am expecting it to be close. Kingston Hawthorn (18th) host the Greenvale Kangaroos (17th) at Walter Galt Reserve. Both sides have struggled this season but have a chance to add more points and build some groundwork for season 2019/20. The Hawks are coming off a pounding at Geelong, while the Roos have had the jubilation of victory over the Camberwell Magpies matched by a cricketing lesson by St Kilda last week. The top orders of both sides will be the deciding factor, with the Roos looking to have the advantage in this battle. Roos to start favourites. Northcote (12th) host Frankston Peninsula (16th) at Bill Lawry Oval. Both sides were unlucky last round losing close games and will be keen to chalk another ‘W’ on the board. The Heat have the added pressure of trying to break a 5-game losing streak, while the Dragons are hovering around the ladder but are needing to get a big result to keep their Finals chances alive. With Mark Phelan in hot form with the bat this season, the Dragons will start favourites at home. Last season’s Grand Final rematch will occur when Dandenong (10th) host Fitzroy Doncaster (2nd) at Shepley Oval. Both sides will be without an experienced campaigner for this game, with Darren Pattinson (Dandenong) and Peter Dickson (Fitzroy Doncaster) both suspended after the last round. The Panthers will need to find some more consistency with the bat in the middle order, while the Lions’ batting has been a little hot-and-cold across the season but has shown the capacity to salvage poor starts. Regardless of the positions on the ladder, the match has the potential to go to the wire. If the Panther bowlers fire I can potentially sniff an upset here, but will the Vic SUPER SLAM Final at the MCG be a distraction? Time will tell. The Monash Tigers (11th) host Carlton (1st) at Central Reserve North. Both sides are coming off recent wins and will be keen for the points here as the Tigers are looking to keep in the hunt for the Finals, while the Blues are looking to hold onto top spot and keep their strong run of form going. Will the Tigers be able to get enough runs on the board? Will the Vic SUPER SLAM Final at the MCG be a distraction for the Blues on Saturday as they look to finish the tournament as undefeated Champions? The read on current form would suggest Carlton with their nose in front. Footscray (15th) will be looking to keep any sniff of Finals action alive as they take on fellow contenders the Camberwell Magpies (9th) at Mervyn G Hughes Oval. The Dogs have battled all season to get consistency across the board, while the Magpies are capable of anything on their day. The big battle this round will be between the experienced batsmen, with Dean Russ (Dogs) up against Magpie legend Simon Hill against the respective clubs’ bowling line-ups. If the Magpies bowling line-up with the ball, the Magpies would have to start favourites. Melbourne (8th) host Essendon (3rd) at the Albert Ground. The Demons hold 8th spot by 3 points over the Camberwell Magpies and will be keen to extend that buffer, while the Bombers are within touching distance of top spot and could potentially finish the round there if Carlton and Fitzroy Doncaster both lose their matches. Both sides are showing good form with their sides winning both games since the Christmas/New Year break and will be determined to take the points in this game. Essendon appear stronger with the ball on paper and would have to just go in as favourites in this match. Finally, Geelong (5th) host Prahran (13th) at the Geelong Cricket Ground. The Cats will be keen to jump inside the Top 4 if results go their way, while the True Blues will be ruing the tight loss to Melbourne Uni last round. The Cats made light work of the Kingston Hawthorn attack last week but will need to sharpen up with the task ahead with the True Blues keen to claim a big scalp and keep their faint hopes of Finals alive. The Cats would have to start favourites at home but will need to be on their toes as Prahran can produce anything if Adam Bull and Jake Hancock fire with the bat. In Women’s Premier 1sts, the T20 component of the season came to a conclusion on Wednesday Night with Dandenong becoming the first club to claim the silverware with a stunning bowling performance against Essendon Maribyrnong Park and take their first T20 title down to Shepley Oval. Carlton-Brunswick defeated Prahran by 59 runs. For the Strikers, skipper Addy Campion (51*) and Chloe McKenzie (31) starred with the bat while wickets were shared around. No details were lodged by Prahran CC at the time of writing. The T20 Grand Final was played on Wednesday Night at the Junction Oval with Dandenong being sent in by Essendon Maribyrnong Park skipper Briana Binch. Sophie Molineux (38 off 30) got the Panthers off to a strong start before the introduction of Kristen Beams (4/13 off 4) and Georgia Wareham (2/19 off 4) brought the Bombers back in the game. Chelsea Moscript (24 off 25) and Julie Fearns (17 off 17) allowed the Panthers to recover to 8/107 off their 20 overs. In reply, Chelsea Moscript broke the potentially dangerous opening partnership of Molly Strano and Jenny Taffs by having the latter Stumped with the score on 14. 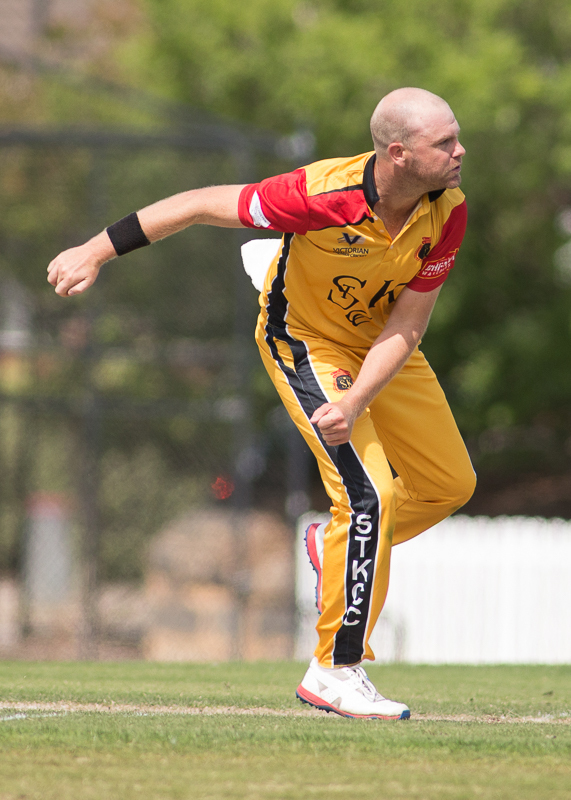 The next over saw the match turned on its head with Kim Garth striking 3 times within 4 balls, dismissing Georgia Wareham (LBW), Nat Schilov (bowled) and Strano (bowled) to leave the Bombers reeling at 4/16. Makinley Blows (26 off 36) tried hard but kept losing regular partners to Kim Garth (Player of the Match with 5/10 off 4), Sophie Molineux (2/9 off 3.2) and Chelsea Moscript (2/17 off 3). When Blows was dismissed caught & bowled by Molineux the Bombers were all out for 63 in 16.2 overs and the T20 trophy was en route to Shepley Oval. The return on One Day Cricket sees Round 9 commence this Sunday with sides keen to get some form going in the lead-in to Finals. 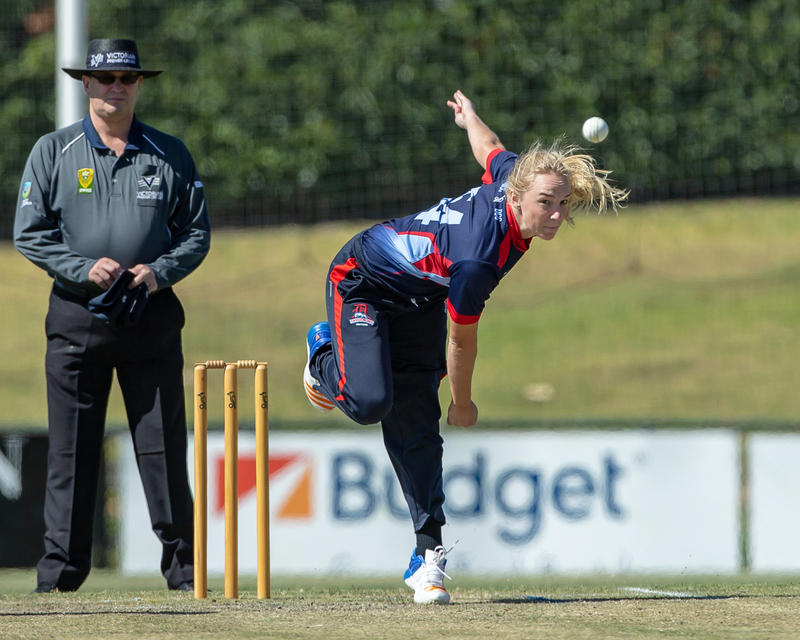 Sides will be able to get their contracted players back this weekend prior to WNCL commitments the following weekend. At this time, all sides bar Ringwood can still qualify for the Top 4 spots, with Prahran holding a 9-point buffer on 2nd placed Melbourne. Prahran (1st) take on the T20 Premiers Dandenong (4th) at Toorak Park. The True Blues were again forced to carry a largely inexperienced side through the T20s due to WBBL but will be thankful for the return of a number of contracted players. The Panthers will be keen to keep their momentum going after taking out the T20 title on Wednesday night. This game may play out closer than expected but the hosts to go in as favourites. Ringwood (8th) host fellow newcomers Carlton-Brunswick (7th) at Russell Lucas Oval. The Rams will take some positives into the back half of the One Day games by winning their last two T20s. With the return to the longer format, will the Rams be able to back it up or will the Strikers look to keep their Finals chances alive? Gut feel suggests the Strikers to do it on the road. Box Hill (3rd) host Plenty Valley (6th) at Box Hill City Oval. The Mustangs struggled in the T20s and will again be keen (like Melbourne) to return to longer form matches. The Bats had a strong T20 campaign (finishing 4th) and will be keen to keep things going as they look to break a Finals drought under coach Adam Drinkwell. This game against the reigning One Day Premiers may be the match of the round and will make things interesting on the ladder pending the result. The Mustangs to start favourites……..just. Finally, Melbourne (2nd) host Essendon Maribyrnong Park (5th) at the Albert Ground. The Bombers will be looking to bounce back after their batting collapse on Wednesday Night and Melbourne could be in the firing line. The Demons struggled through the T20s when they had one of the stronger lists on paper. Now they are back in the longer format, can they keep their hold inside the Top 4 or will they get shunted down the pecking order? Expect this to be a tight game, with the hosts to just start ahead with the home ground advantage. Umpire John Richards will umpire his 150th Premier match this weekend and will make his debut in the 1st XI panel when he umpires the Women’s Premier 1st XI match between Melbourne and Essendon Maribyrnong Park at the Albert Ground on Sunday. Umpire Alfred Gaughan (1st XI Cap #531) will umpire his 150th Premier match this weekend. Umpire Courtney Lai (1st XI Cap #534) will umpire his 150th Premier match this weekend. Umpire Anthony Medina (1st XI Cap #551) will umpire his 100th Premier match this weekend. Umpire Lou Tenace (1st XI Cap #554) will umpire his 100th Premier match this weekend. Umpire Paul Welbourn (1st XI Cap #560) will umpire his 50th Premier match this weekend. St Kilda skipper Michael Beer will join the CV 200 Club this round when the Saints take on Ringwood at Russell Lucas Oval. Beer has played 158 CV Premier 1st XI matches, 6 One Day matches for Victoria and 35 T20 matches for the Melbourne Stars, whilst also having a stint in WA which was rewarded with his selection in the Australian Test side in 2010/11. Jackson Fry (Casey-South Melbourne) will play his 50th Premier 1st XI match this weekend when the Swans travel to Melbourne Uni. Shaun Miller (Prahran) will play his 50th Premier 1st XI match this weekend when the True Blues travel to Geelong. Stephen Seymour (Prahran) passed two personal milestones last round against Melbourne Uni, scoring his 4,000th Premier 1st XI run during his innings of 22 and also took is 250th Premier 1st XI wicket when he dismissed Michael Clements bowled for 3. Josh McDonald (Geelong) scored his 2,000th Premier 1st XI run during his innings of 60 against Kingston Hawthorn. 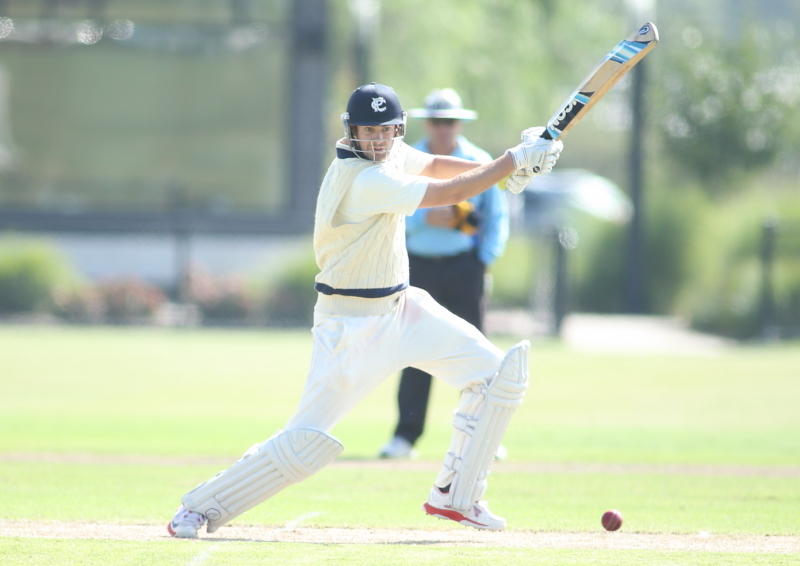 Harrison Smyth (Carlton) scored his 2,000th Premier 1st XI run during his innings of 70* against Fitzroy Doncaster. Devin Pollock (Casey-South Melbourne) scored his 1,500th Premier 1st XI run during his innings of 26 against Northcote. Jack Harper (Melbourne) scored his 1,000th Premier 1st XI run during his innings of 30 against Ringwood. Louis Cameron (Essendon) took his 200th Premier 1st XI wicket when he had Footscray skipper Dylan Kight bowled for 33.